Form Factor: mSATA. New Bulk Box. Weight: <10 grams. Lithography Type: 25 nm. Interface: SATA 3.0 6Gb/S. Latency - Write: 85 µs. Capacity: 180 GB. Uncorrectable Bit Error Rate (UBER): <1 sector per 10^16 bits read. Model Number: SSDMCEAC030B301. Model: SSDMCEAC030B301. Interface: Mini-SATA (mSATA). Capacity: 30GB. And because SSDs have no moving parts, they reduce risk of data loss while consuming less power for proven reliability. Part Number: SSDMCEAC060B301. Model Number SSDMCEAC060B301. Alt Part Number(s) SSDMCEAC060B301. Model SSDMCEAC060B301. Form Factor mSATA. Type Solid State Drive (SSD). Device Type Internal Solid State Drive (SSD). Interface : MSATA SATA 6.0Gb/s (backwards compatible with SATA II @ 3.0Gb/s and SATA @ 1.5Gb/s). 32GB MSATA3 6Gb/s SSD. Formatted capacity : 32GB. 1 x 32GB SSD. Acer: W700 W500 M5. 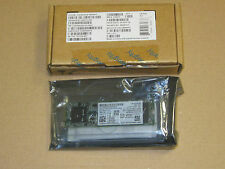 Dell: M4600 M4700 M6600 14ZD 15ZD V5460D. 512GB MSATA3 6Gb/s SSD. Formatted capacity : 512GB. 1 x 512GB MSATA SSD. Interface : MSATA SATA 6.0Gb/s (backwards compatible with SATA II @ 3.0Gb/s and SATA @ 1.5Gb/s). 128GB MSATA3 6Gb/s SSD. Dell: M4600 M4700 M6600 14ZD 15ZD V5460D. Model Number: SSDMCEAC180B301. Alt Part Number(s): SSDMCEAC180B301. Model: SSDMCEAC180B301. Interface: Mini-SATA (mSATA). Capacity: 180GB. Type: Internal Solid State Drive (SSD). Device Type: Internal Solid State Drive (SSD). 512GB MSATA3 6Gb/s SSD. Formatted capacity : 512GB. Interface : MSATA SATA 6.0Gb/s (backwards compatible with SATA II @ 3.0Gb/s and SATA @ 1.5Gb/s). 1 x 512GB MSATA SSD. 128GB MSATA3 6Gb/s SSD. Acer: W700 W500 M5. I hope not to bring you. I will solve this problem. And help with the query. Pre-sales and after sales service. Positive evaluation. Solve your concerns. Before buying our products. We humbly ask for the opportunity to work with you and correct mistakes. Interface : MSATA SATA 6.0Gb/s (backwards compatible with SATA II @ 3.0Gb/s and SATA @ 1.5Gb/s). 256GB MSATA3 6Gb/s SSD. Formatted capacity : 256GB. 1 x 256GB MSATA SSD. 128GB MSATA3 6Gb/s SSD. Acer: W700 W500 M5. Model Number: SSDMCEAW080A401. Part Number(s): SSDMCEAW080A401. Model: SSDMCEAW080A401. Form Factor: mSATA. Capacity: 80GB. Improved PC responsiveness. Breakthrough storage performance. Series: 530. Mfr Part Number: SSDMCEAW240A401. Model Number: SSDMCEAW240A401. Model: SSDMCEAW240A401. Interface Types: SATA 1.8in Mini-SATA / MSATA. Capacity: 240GB. SSD Type: MLC. Series: 530 Series. COMPATIBILITY ISSUE. Interface : MSATA SATA 6.0Gb/s (backwards compatible with SATA II @ 3.0Gb/s and SATA @ 1.5Gb/s). 128GB MSATA3 6Gb/s SSD. 1 x 128GB MSATA SSD. Formatted capacity : 128GB. Acer: W700 W500 M5. Dell: M4600 M4700 M6600 14ZD 15ZD V5460D. · T H A N K Y O U ! This way we can satisfy your concern~! We will reply to you within 24 hours. Loc: : Hpfan1. Part Num: SSDMAESC020G2. MPN: SSDMAESC020G2. Category: Solid State Storage. »Hard Drives. QA Certified! MSATA,SATA II. SSD is in good working condition and has passed a secure data wipe. See pictures for details. It's made to last and it's truly the largest difference between the stuff you "can get" and the stuff you must have to change the way you compute. Capacity: 180GB. fits X1 Carbon 1st Gen Only. Item type: Solid State Drive. Form factor: N/A. 100% Authentic Product. Beware of FAKES! We assure our products are 100% GENUINE! Your right to cancel. 256GB MSATA3 6Gb/s SSD. Interface : MSATA SATA 6.0Gb/s (backwards compatible with SATA II @ 3.0Gb/s and SATA @ 1.5Gb/s). Formatted capacity : 256GB. 1 x 256GB MSATA SSD. 128GB MSATA3 6Gb/s SSD. Dell: M4600 M4700 M6600 14ZD 15ZD V5460D. Manufacturer Part Number SSDMAEMC040G2. Physical Characteristics. Drive Interface Standard SATA/300. Drive Interface SATA. 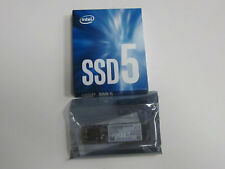 180 GB intel SSD mSATA M.2 540sSer. (SSDSCKKW180H6X1) mit Rechnung inkl.19%MwSt. O interne Solid-State Disk SSD M.2 Formfaktor. Sie als Verbraucher auf folgendes hinzuweisen: Sie sind gesetzlich verpflichtet, Batterien und Akkus zurückzugeben. Schadstoffhaltige Batterien sind mit einem Zeichen. 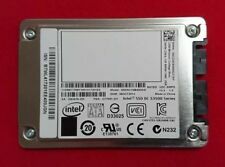 180 GB intel SSD mSATA M.2 (SSDSCKGF180A4H) mit Rechnung inkl. 19% MwSt. ÃÂÃÂ Anschluss: mSATA 6Gb/s. Mini-ITX Mainboard. ÃÂÃÂ NAND-Typ: MLC (20nm). VGA Mini TFT Displays. Mini-ITX Gehäuse. Standard (DHL) : 0 EUR. ÃÂÃÂ Besonderheiten: 128-Bit AES-VerschlÃÂÃÂ¼sselung. Formfaktor: mSATA. Modellserie: 530 Series. Die SSD wurde heute ausgebaut und funktioniert hervorragend. Testausdrucke in den Bildern. Cache: keine Angabe. Für den Betrieb mit herkömmlichen SATA Anschluss ist ein mSATA auf SATA Adapter notwendig. Enterprise-Class SSD - 24/7 geeignet, hohe Lebenserwartung, hoheI/O Performance. Enterprise-Class SSD - 24/7 operable, high endurance, highI/O performance. Modell: SSDSA1MH080G1HP. SSD Speicherkapazität 80 GB. MLC SolidStateDrive (SSD). Der gezeigte Zustand des Gerätes kann abweichen. Preistendenz EUR 35,43eBay berechnet diesen Preis mithilfe eines maschinellen Lernmodells auf Grundlage der Verkaufspreise für dieses Produkt innerhalb der letzten 90 Tage. Kategorie (EET): Festplatten. Series MLC Bulk . Die Abbildung ist symbolisch! Brauchen Sie großen Stückzahlen?. Rufen Sie uns an. Der Verkauf erfolgt unter Ausschluss der Gewähr­leistung. Capacity 30 GB. Power - Active 300 mW. Power - Idle 250 mW. Launch Date Q1'13. Sequential Read (up to) 500 MB/s. Sequential Write (up to) 275 MB/s. Für den Betrieb mit herkömmlichen SATA Anschluss ist ein mSATA auf SATA Adapter notwendig. Enterprise-Class SSD - 24/7 geeignet, hohe Lebenserwartung, hohe I/O Performance. Enterprise-Class SSD - 24/7 operable, high endurance, high I/O performance.